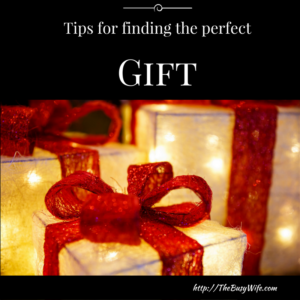 Tips for finding the perfect gift! Now that election season is over, you may find it hard to transition to the holiday season. Thanksgiving and Christmas are just around the corner. Well, wake up! It’s time to stop watching CNN and focus on the magic of the holidays. Onto the challenge of finding the perfect gifts for your family and loved ones. Throughout the year your loved ones will give you great clues as to what gifts will really make them happy. Remember when mom said she broke her favorite punch bowl? Recall when your wife just couldn’t stop staring at that beautiful charm bracelet in the shop window? Hopefully you were listening and took some notes so you’d remember what would make the perfect gift. What a surprise it’ll be when they get just what they need. Think about the person’s interests and hobbies. Does the person make jewelry as a hobby or are they into yoga? Purchase a gift related to their interest. It could be a book or related tools or accessories. If you sister is a musician, buying her sheet music or a new instrument case might make her smile. If your husband is an avid hiker, try looking for hiking boots or a GPS. Most people by now have an Amazon wish list. 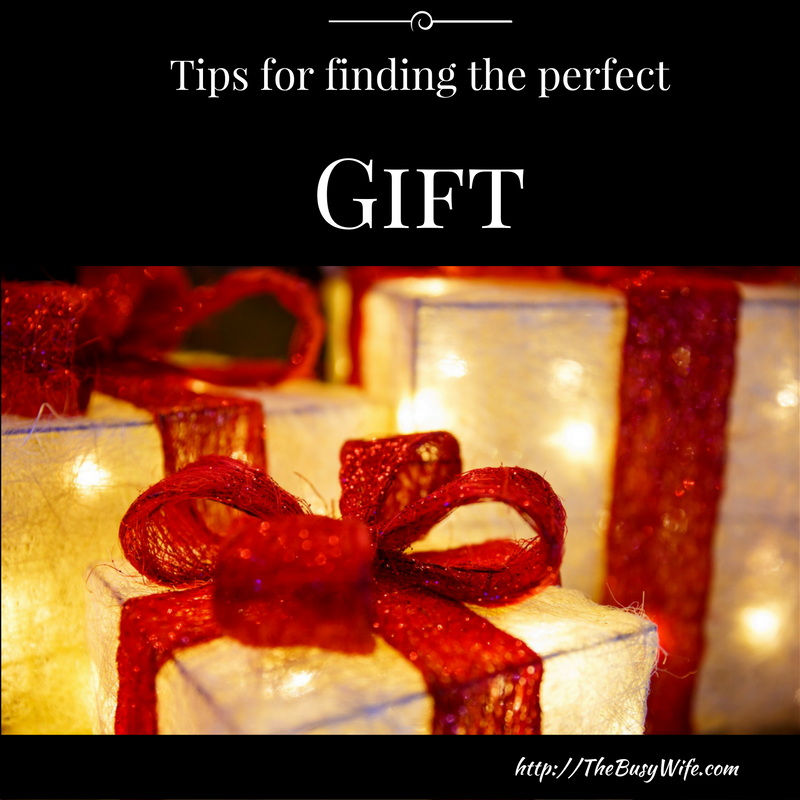 If they haven’t shared any clues about what they want or need, do some searching and see what they may have added to their list. The lists are usually public so search Bing or your favorite search engine. Nothing is more memorable that an experience. An exotic vacation may come to mind but an experience doesn’t have to be very expensive or require a week off. Consider a favorite restaurant or a new restaurant that you both can experience together. Season tickets to the theatre can create memories that will last a lifetime. A French cooking class teaches skills that can be enjoyed long after the class is over. Giving the perfect gift doesn’t have to cost a small fortune. Consider making a gift. Handmade jewelry or a knitted sweater are gifts that people cherish. If all fails, give a gift card. Gift cards are an easy, safe and thoughtful way to show you care. It allows the recipient to find something they really want and now they have no excuse not to get it. Make sure to give gift cards that don’t expire. Opt for a specific gift card rather than the generic Visa card. Knowing that your brother loves Starbucks, give him a Starbucks card that he can use for his frequent visits. Is your mom addicted to Amazon? An Amazon gift card can be added to her account very easily. Remember it really is that thought that counts and don’t forget to enjoy the season.